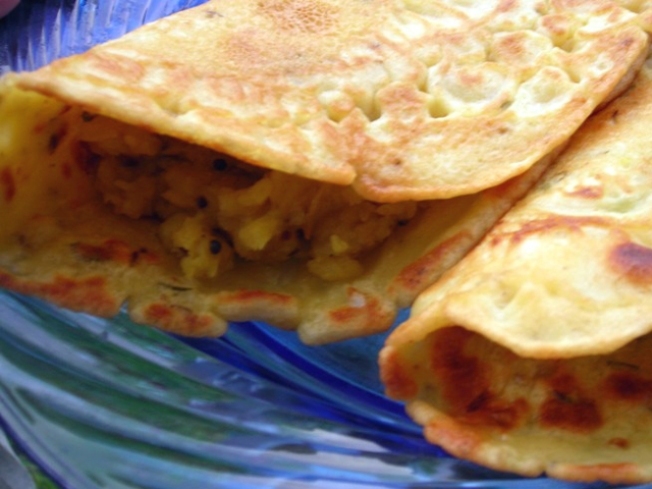 Tasty potato filled dosas were just one of the treats at the Outside Lands festival. We've been keeping you right on top of breaking food vendor developments at Outside Lands. And now comes the finalized list with Out the Door, Anchor & Hope, Three Twins organic ice cream, Spicy Pie (thin crust pizza), Earthly Delights, Little Village Produce (smoothies), Tacolicious, Rosamunde Sausage Grill, Grumpy's, Primo's Parrilla, New Ganges, Full of Life Flatbread, Split Pea Seduction, Gordo Taqueria and Global Gourmet as the latest additions to the "Taste of the Bay" food area. In wine news, Robert Sinskey, Wind Gap, Palmina, A.P. Vin, Pine Ridge, Long Meadow Ranch, Parducci & Paul Dolan, A Donkey and Goat and Berryessa Gap have all joined "Wine Lands." Compare to Dixie cups full of beer and chicken on a stick and know that tickets are still available here.